In addition to the biannual Cambrian Medieval Celtic Studies journal, CMCS also publishes a range of books on Celtic topics. Here you will find details of some publications past and present. If you wish to order one of the books listed below, please print and complete the order form. 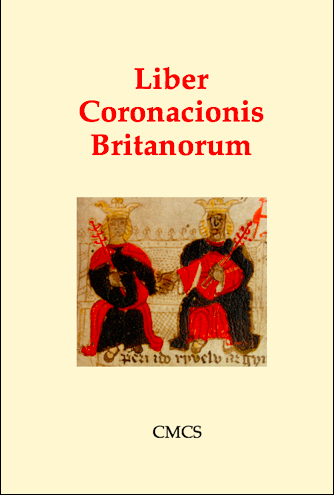 Liber Coronacionis Britanorum ('The Book of the Crowning of the Britons') is an unpublished Middle Welsh adaptation of Geoffrey of Monmouth's History of the Kings of Britain, focusing on the succession of British kings and queens from Brutus down to Vortigern, Arthur, and Cadwaladr. Patrick Sims-Williams edits it from a manuscript of c. 1500, in which the narrative — for the first time in Wales — is illustrated. All 59 colour illustrations are included at the appropriate place in the narrative, and missing parts of the text are restored from nine fragmentary copies, one of them written by a supporter of Llywelyn ap Gruffudd (d. 1282). This edition enables modern readers for the first time to enjoy this once popular work and its unique illustrations. 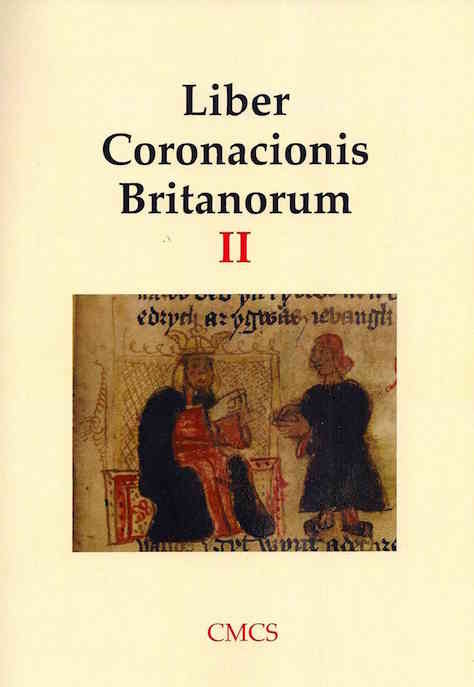 Liber Coronacionis Britanorum ('The Book of the Crowning of the Britons') is a Middle Welsh adaptation of Geoffrey of Monmouth's History of the Kings of Britain. In this companion to his edition Patrick Sims-Williams investigates its relationship to Geoffrey's Latin original and the other medieval Welsh translations, providing a full explanatory commentary and a study of its language. The cover picture (from National Library of Wales, MS Peniarth 23, fol. 61r) shows the boy Myrddin (Merlin) advising King Gwrtheyrn (Vortigern) about the buried dragons. 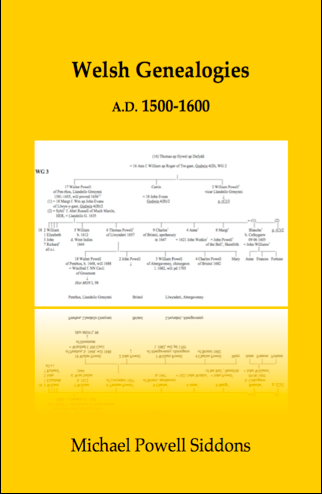 In Welsh Genealogies A.D. 1500-1600 (WG 3) Dr Michael Siddons extends the pedigrees of Dr Peter Bartrum's celebrated Welsh Genealogies 300-1400 (WG 1) and Welsh Genealogies 1400-1500 (WG 2) down to c. 1600 — many persons born in the early 1600s are included — and adds about two hundred new family lines. WG 2 took up 18 large printed volumes, and WG 3 would be even longer, if issued entirely in printed form. WG 3 is therefore divided between a printed volume and a disk at the back of the book, the two being designed to be used together. 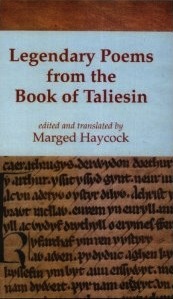 The Book of Taliesin is the most enigmatic and mysterious of the 'Four Ancient Books of Wales'. This volume at last offers the first authoritative introduction to the early Welsh poems associated with Taliesin, the legendary shape-changing bard. In this sequel to her 'Legendary Poems from the Book of Taliesin' Professor Haycock edits, translates and interprets ten allusive poems that survey the past successes and failures of the Welsh people and foretell their final victory. This volume introduces a wide range of readers to an historically and sociologically interesting selection of 814 Latin inscriptions, from most parts of Europe, edited and translated in full for the first time. The inscriptions, mostly of the first to third centuries A.D., shed a varied light on the everyday life of the 'ancient Celts' as they came under Roman rule. They come from sites ranging from Portugal to Bulgaria and from Scotland to northern Italy. “The authors have provided scholars of the ethnic makeup of the Roman Empire an admirable and much-needed tool for exploring the distribution of Celtic names throughout the Roman Europe” — Bryn Mawr Classical Review. “… eine ausgezeichnete Quellengrundlage, die einer Vielzahl disziplinenübergreifender Forschungen dienlich sein wird” — Keltische Forschungen. 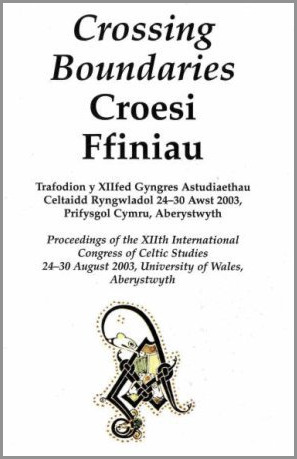 Proceedings of the XIIth International Congress of Celtic Studies, University of Wales, Aberystwyth (=CMCS vols.53/54). Paperback, vi + 53 fols. Codex Cantabrigiensis — A Ninth-century Manuscript Glossed in Welsh, Irish and Latin. Facsimile edition. 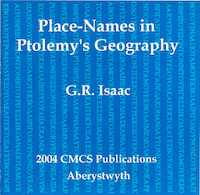 An electronic database with etymological analysis of the Celtic name-elements, covering the ancient territories of Hibernia, Britannia, Hispania, Gallia, Germania, Raetia, Vindelicia, Noricum, Pannonia, Illyricum, Massiliotes, Liguria, Tusci, Gallia Cisalpina, Venetia, Istria, Sarmatia Europaea, Iazyges, Dacia, Moesia, Thracia, Chersonese, Pontus et Bithynia, Galatia [including Place-Names in the Antonine Itinerary as an appendix]. Windows- and Macintosh-compatible CD-ROM. “Un travail très utile et intéressant” — Nouvelle Revue d'Onomastique.